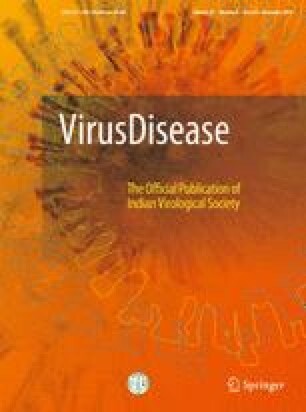 Human metapneumovirus (hMPV) of the family Paramyxoviridae is a relatively new virus causing severe acute respiratory tract infections (SARI) in children. Data on hMPV infection in Asia including Sri Lanka is limited. We aimed to detect respiratory viruses including hMPV in a selected group of children affected by a small outbreak of SARI presented to the Teaching Hospital, Peradeniya (THP), Sri Lanka in 2014. Nasopharyngeal aspirates (NPA) were obtained from 21 children with SARI and tested for hMPV, influenza A and B, parainfluenza 1, 2 and 3 (PIV 1–3), adenovirus and respiratory syncytial virus (RSV) antigens using an immunofluorescence assay (IFA). In addition, a one step RT-PCR was done for the detection of hMPV from the viral RNA extracts. Of the 21 NPA samples tested for respiratory viral antigens by IFA, two were positive for RSV (9.5%), one was positive for influenza A (4.8%) and one was positive for both adenovirus and PIV-2 (4.8%). Of the 21 NPA viral RNA extracts tested by RT-PCR, 18 (86%) were positive for hMPV, in which 2 were co-infected with RSV and influenza A virus, respectively. hMPV was the predominant cause of SARI outbreak (2014) in children presented to the THP, Sri Lanka. Grant No. RG/AF/2013/38/M from University of Peradeniya. The study was approved by the Ethical Review Committee of the Faculty of Medicine, University of Peradeniya, Sri Lanka. An informed written consent was obtained from the parents/guardians of the study participants.